I’m a philosopher of mind and of cognitive science. My very first interest was in what thinking is and how it works. Early on, I realised that for understanding this, I needed to investigate how we think and play together. Now, I investigate the connections between how we interact, how we understand each other, how we understand the world (together), and how all that makes us who we are. Broadly, I study the role of social interaction processes in subjectivity and intersubjectivity. 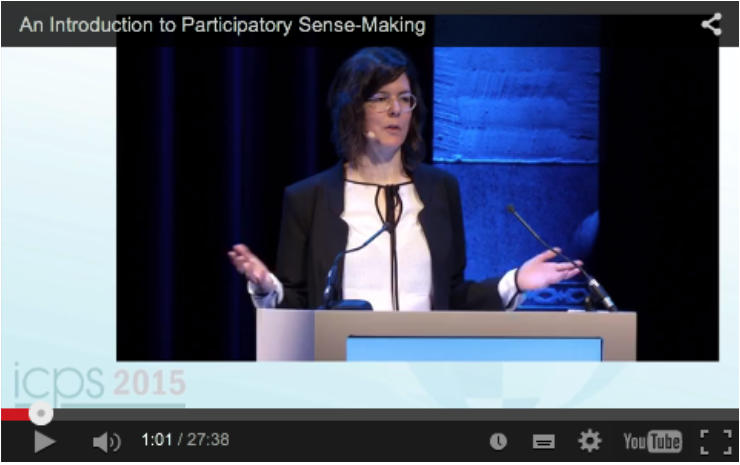 For doing this, I have proposed the theory of participatory sense-making (video introduction). This enactive approach to intersubjectivity investigates how we move together while we interact with each other (including speaking), and how this influences how we understand each other and the world, together. Putting the interaction process at the centre of the study of social understanding entails a detailed and focused examination of it. This is being done in the social sciences (interaction studies, conversation analysis, context analysis, etc. ), but it is a relatively new idea in philosophy of mind and the cognitive sciences. One pillar of this work is the investigation of individual sense-making, which is the immersed and meaningful engagement of self-organizing and self-maintaining agents with their environment. If we think of how interaction influences sense-making, this has implications for how we think of individuals as well. One of the main areas of application of my work is in the field of autism research. Here my ideas contribute to better understanding autistic experience and interactions, thereby enhancing mutual understanding between autistics and neurotypicals, or – as a Dutch blog recently called it – autism-friendliness. This work is inherently interdisciplinary. Most of my work is theoretical, but I draw on empirical research from disciplines ranging from anthropology and linguistics, over evolutionary robotics, minimal systems research, developmental, experimental and clinical psychology, to psychiatry, philosophy, and neuroscience. One issue at the centre of all this, and which we still do not understand very well, is the experience of interacting, and its role in how we understand each other. How is it with the intuition that ‘being in sync’ goes together with understanding each other well? Is it really that simple? In order to investigate this, we need to—literally—embody the investigation of interactive experience. Together with Barbara Pieper, Daniel Clénin, and Thomas Fuchs, we have been developing a method that allows researchers to do just that. Using this hands-on method, researchers can unravel the experience of interacting, by calibrating and trusting themselves to be the sophisticated instruments with which to grasp intersubjectivity. A long-time motivation behind my work, one that is becoming clearer and clearer to me over the years, is that there is something that we are not yet explaining – something essential and fundamental to human sense-making. It can be found in the interpersonal capacities of teachers, therapists, doctors, who know something, as humans, that no textbook has taught them, that the cognitive sciences have not been able to put their finger on, and that yet is the very thing that makes them good at their jobs. When I present my work, to different audiences in different places, people will sometimes say that it is this elusive human knowing that I’m talking about. My current project aims to bring this closer to the fore. This project is called Loving and Knowing. In it, I investigate what I think is a fundamental similarity between loving relationships and knowing relationships. At the root of both of these, there is an ongoing, unresolvable tension of “letting be”—a term philosopher Kym Maclaren uses in order to illuminate knowing and intersubjectivity. I think that this concept of letting be allows us to understand that, in loving and in knowing, we ongoingly, dialectically move through this tension. I do a lot of my work in collaboration, often with Ezequiel Di Paolo, and with others. For a Google Scholar view on how participatory sense-making is being taken up, take a look here.